A gothic, bone-chilling Irish ghost story first published in 1941 and now brought back into print. The title benefits from an introduction by well-known academic Professor Luke Gibbons and Martin Scorsese and various critics, including William K. Everson and Leonard Maltin, regard The Uninvited as one of the best ghost stories ever filmed. 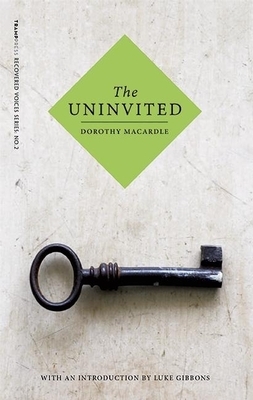 DOROTHY MACARDLE (1889-1958), an Irish writer, novelist, playwright, and historian, was born in Dundalk into a wealthy brewing family. A member of the Gaelic League and Cumann na mBan, Macardle spent time imprisoned because of her activities during the Irish Civil War. She later wrote about those experiences in Earthbound: Nine Stories of Ireland (1924). One of her most famous books was The Irish Republic (1937), a narrative account of the Irish War of Independence and its aftermath. She died in Drogheda in 1958, critical of what she saw as the reduced status of women in the 1937 Constitution of Ireland. LUKE GIBBONS is Professor of Irish Literary and Cultural Studies at the School of English, Drama and Media Studies, National University of Ireland, Maynooth. He has published widely on Irish culture, film, literature, and the visual arts, as well as on aesthetics and politics.